Hidden away from the hustle and bustle of the city, there lies a quaint little lane that will take you to another place unlike the rest of the city. 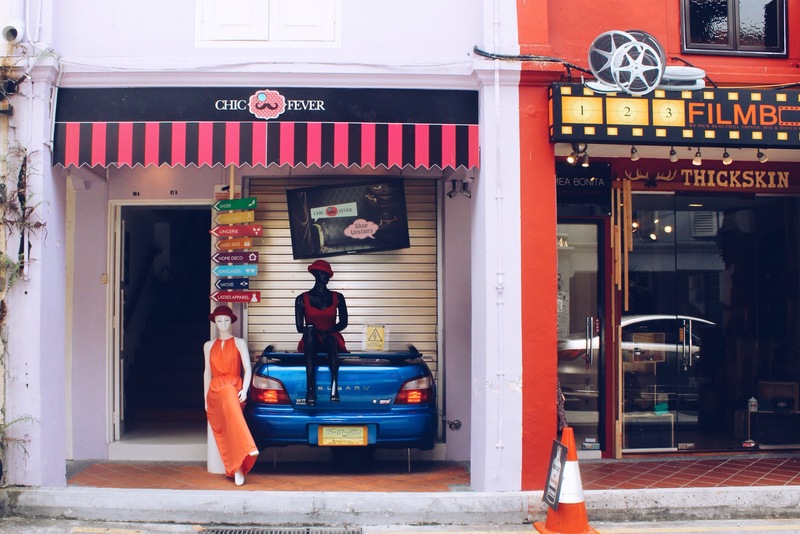 Contrary to the the high rise buildings and huge luxurious malls of Singapore, Haji Lane is an overload of quaint small indie boutiques and cute local stores. WIth an undeniable vintage flair and a hint of old world charm, every door is just as pleasing to the eyes as the next with all the inviting colors and designs. 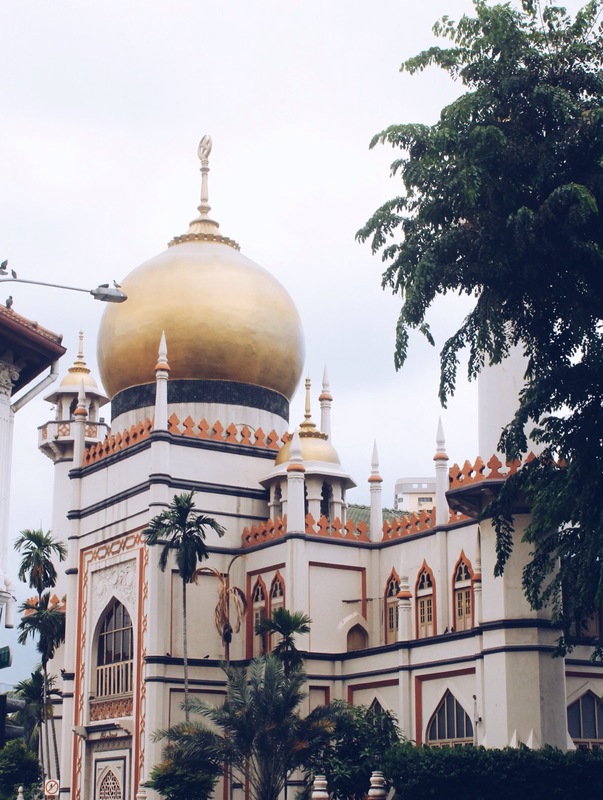 “Haji” is the Malay term for a Muslim man who has completed his pilgrimage to Mecca. 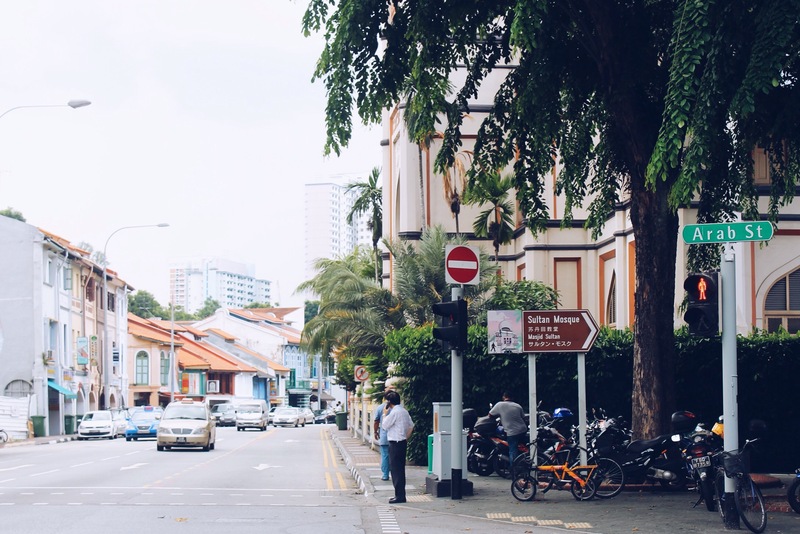 Perhaps it’s where the name originated from, Haji Lane, back in the 60’s and 70’s, used to accommodate not only pilgrims on their way to Mecca, but also provides shelter for poor Malay families. 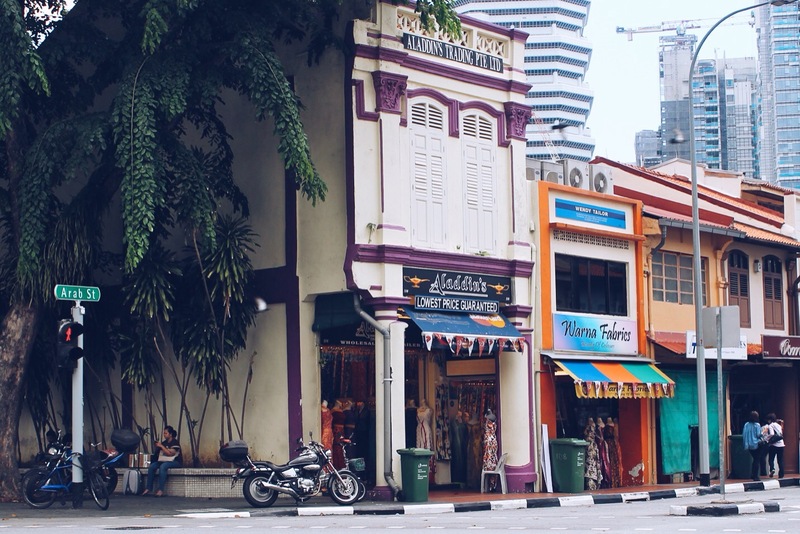 Incidentally, Haji Lane is also located next to the busy Arab Street. By now, if you’ve been reading my blog, you should already know that I am a sucker for anything that takes me on a journey back in time (like when I went to colonial era and when I played 1940’s pin-up at a carnival). 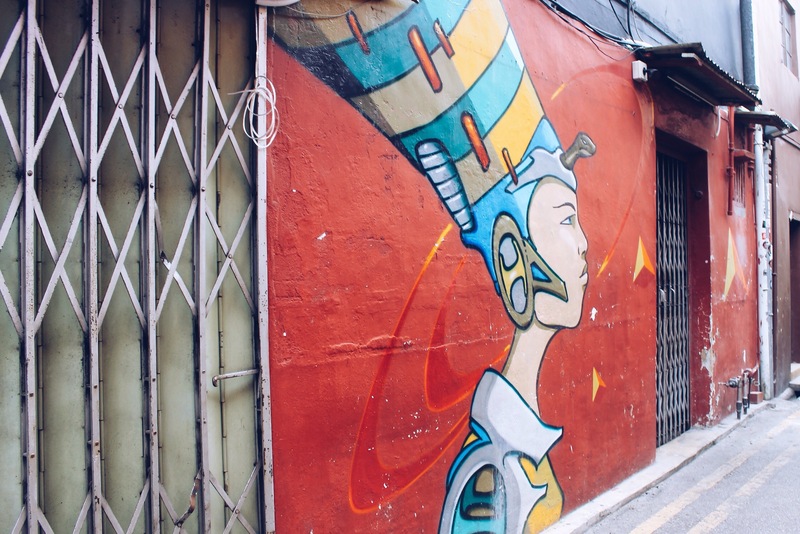 Needless to say, Haji Lane not only took me on a time warp, but it also teleported me to another place. Walking down this narrow lane made me feel like I was no longer in Southeast Asia. Besides the humidity, the three digit temperature, and perhaps the lack of sailors, it felt like walking in a small American town back in the 40’s. I couldn’t snap as much as I can inside the shops because there were signs telling me not to do so, but I took a few outside. 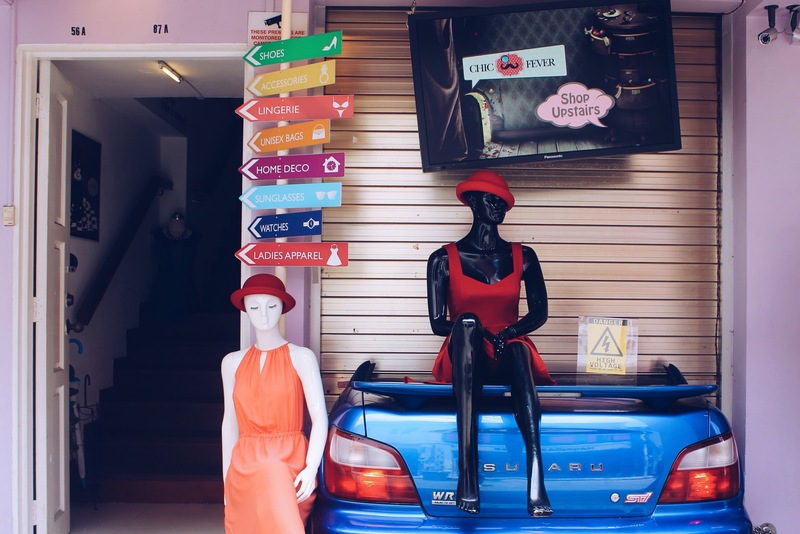 Definitely a fashionista’s haven and a self-proclaimed hipster’s paradise, almost every corner is absolutely photogenic. Plenty of the shops are painted in pastel, and although it may scream cute in all its aspect, they are tastefully decorated in chic designs. 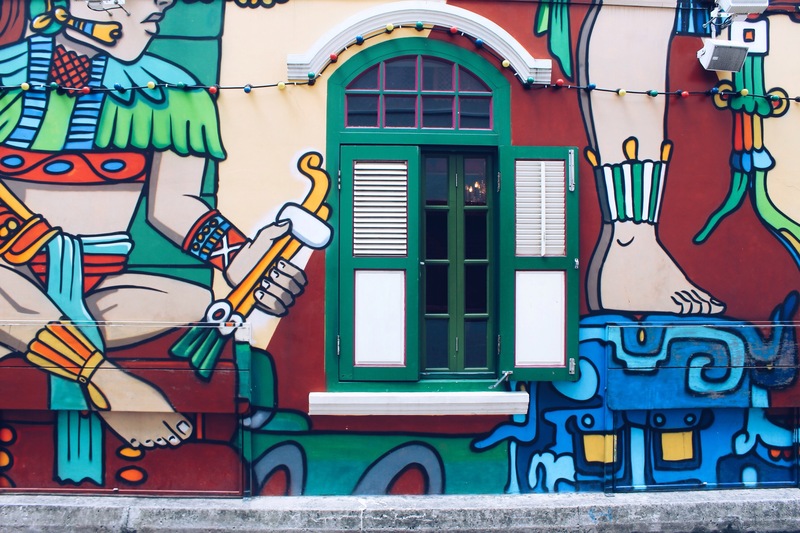 Others scream eclectic and quirky, while some are just culturally inviting. 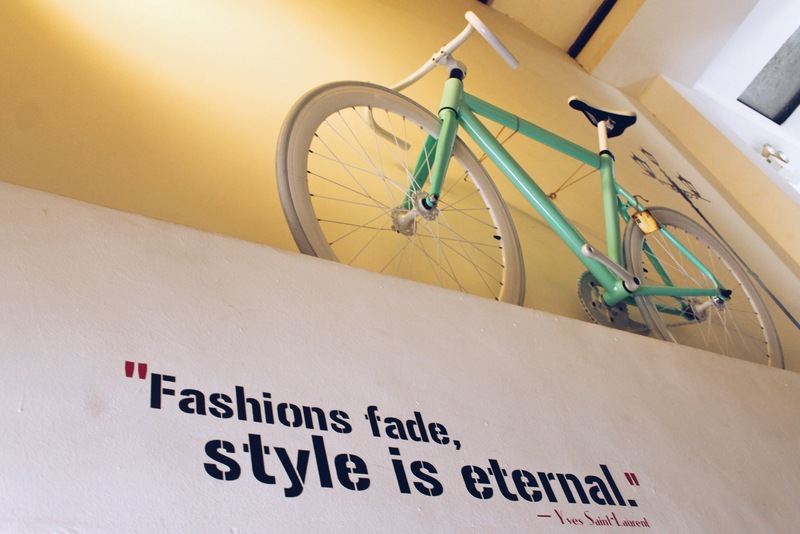 From basics to modish, Haji Lane boutique store simply caters to those who believes that style is eternal. 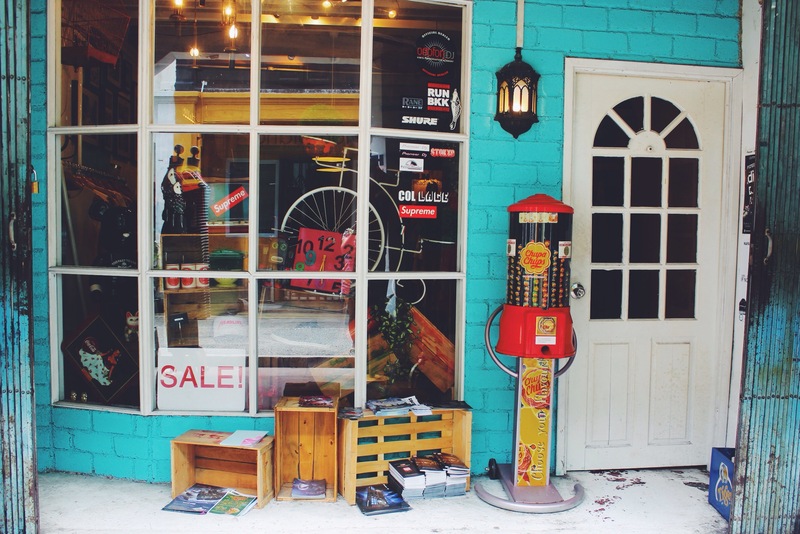 Other than clothes, there are also shops that holds anything from an array of local finds, dainty little knick knacks, timeless furnitures, intricately designed textiles, etc. 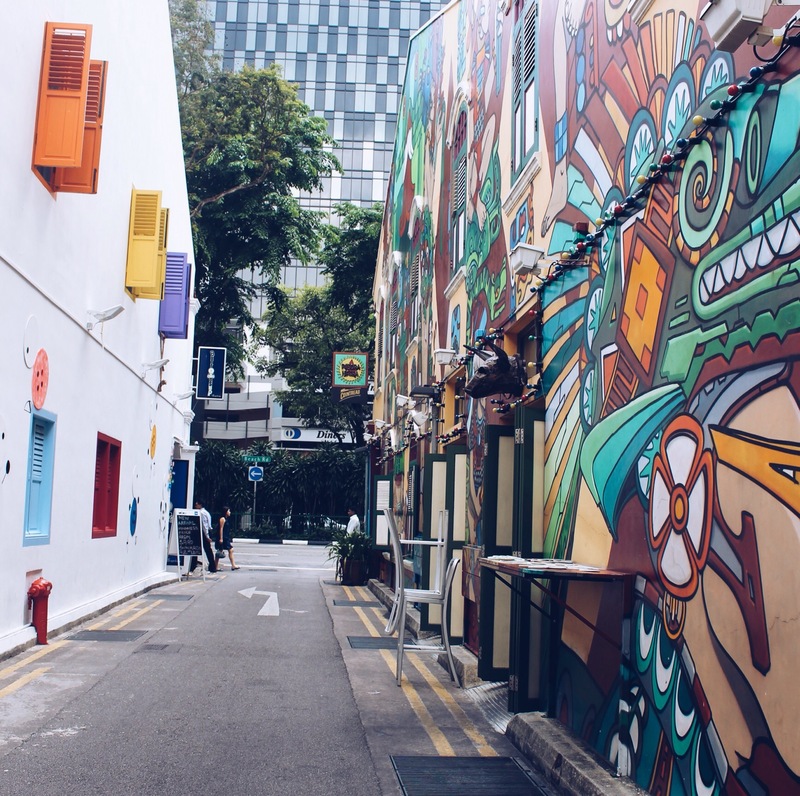 Haji Lane is best visited in the afternoon. It may be pretty hot, but there will be less people, and plus, you can always cool off at one of their quirky cafes. 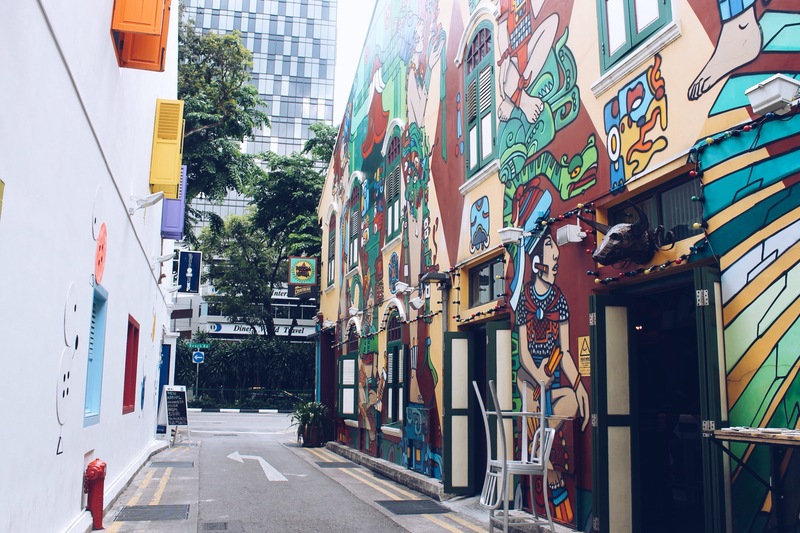 Since it’s next to the festive Arab Street, try to finish your stroll at Haji Lane by 5:30 so you can continue on and catch Arab Street at it’s liveliest. It’s filled with an array of middle-eastern and mediterranean restaurants so go crazy on kabobs and baba ganoush. You may also catch live belly dancing performances at night time. Just don’t skip out on the alleys before you make your way there. 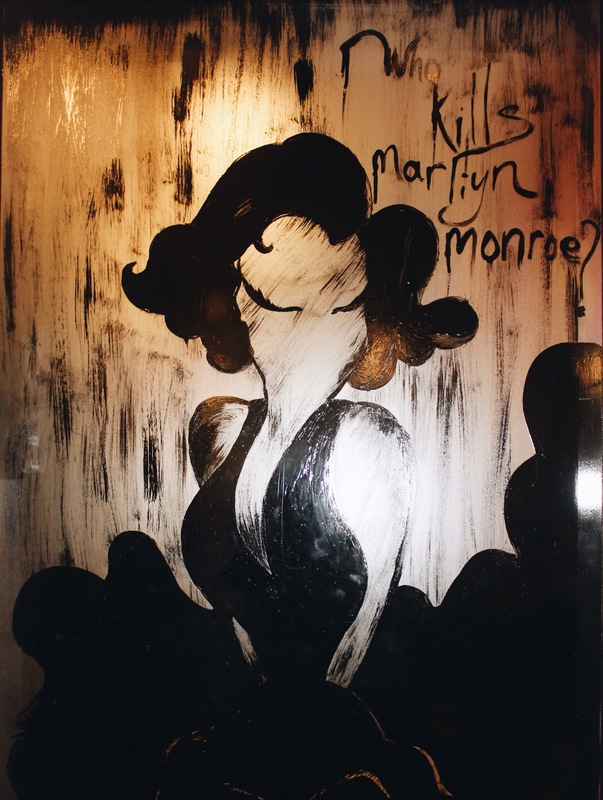 There are pretty unmissable bars with vivid murals that are worth a few clicks. 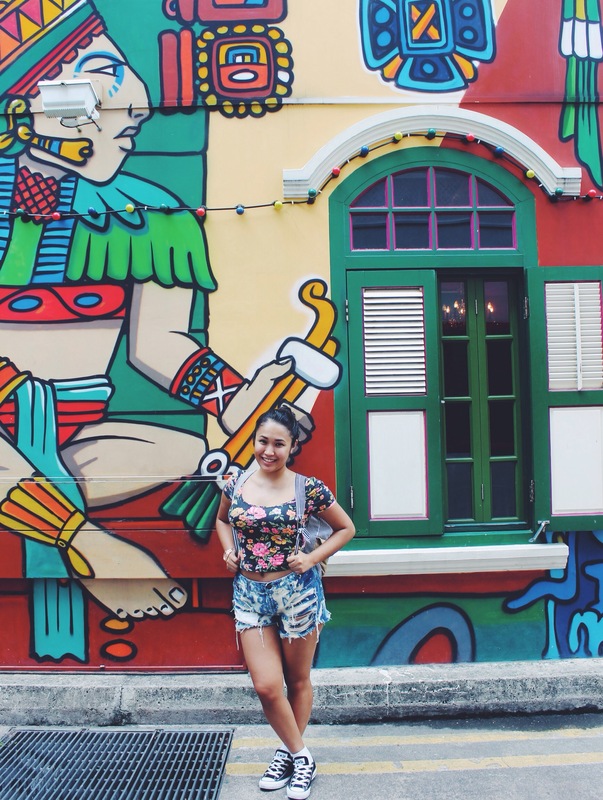 When all is said and done, Haji Lane is not only attracting travelers like us from different parts of the world. It is a haven for local shoppers too. In a modern westernized country, it’s quite ironic that many still prefer and search for the underground quaintness in their city. 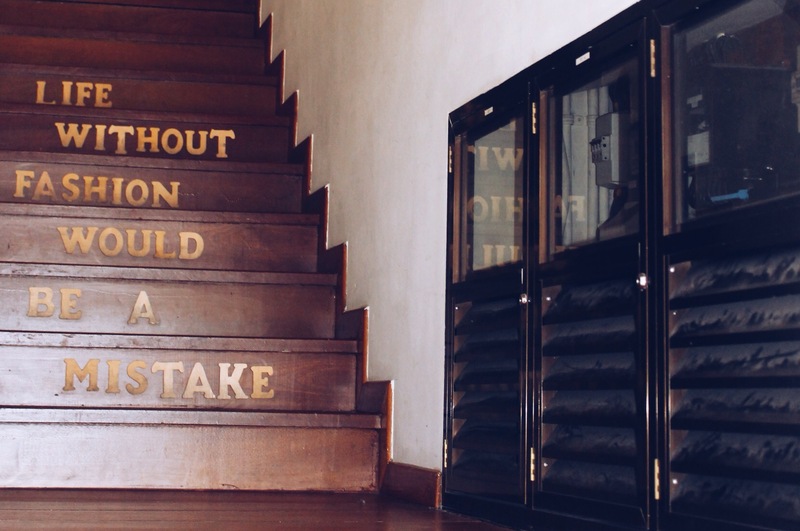 But maybe that’s just human nature and we’re all just looking for a change of pace. Perhaps we all just want what’s rare and different. Perhaps we’re enthralled by what’s contradicting. 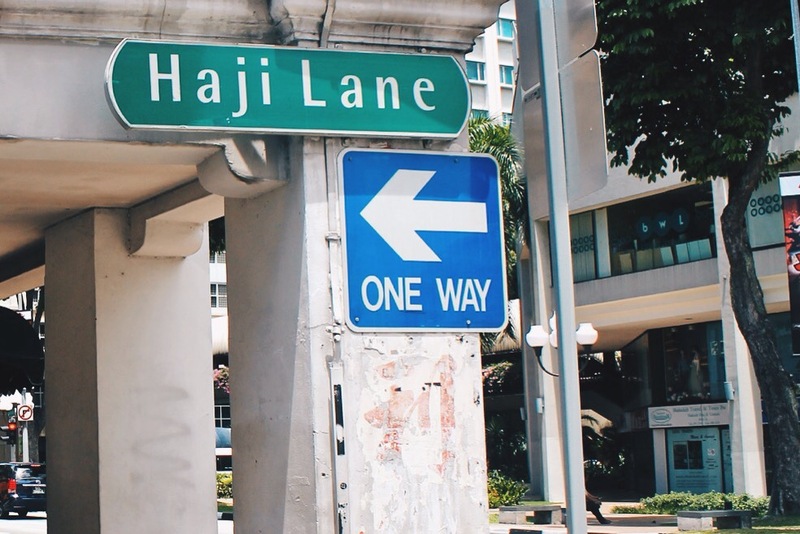 Whichever way you find your desire, you’re only a trip down Haji Lane away. 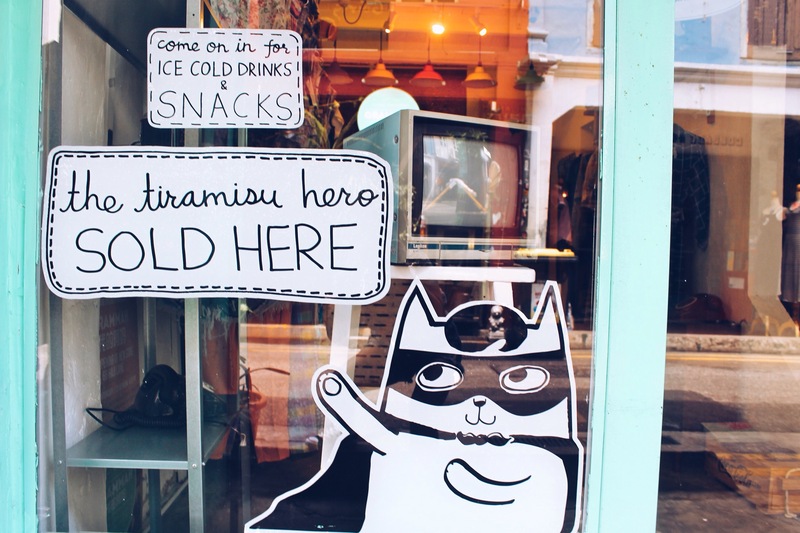 Are you a fan of quaint places too? Let me know down below! If you like what you read on my blog, please follow me on Facebook where we can keep in touch and where I can keep you updated on my new posts! Great find, always fantastic finding places like this in big cities 😀 Looks like there’s some really clever shopkeepers, that last one with the Subaru is brilliant – genius! This looks so adorable and fun! I have Singapore on my travel list! I would love to visit. This will definitely be on my itinerary! Very colorful! And so unexpected in a city like Singapore. So far I’ve only been to their airport twice and will soon be there again … but will def consider a stop over next time! You should! Singapore is lovely. If I’m not mistaken, I think they offer free city tour at the airport. Just not sure of the details. But Changing airport itself is gem as well, lol. Lucky you live so close! Thanks for the compliments on my photo, Ynah! I was surprised myself. Nothing a little filter can’t fix. Heh. Cute is definitely a great word for it, hehe. Lovely place! 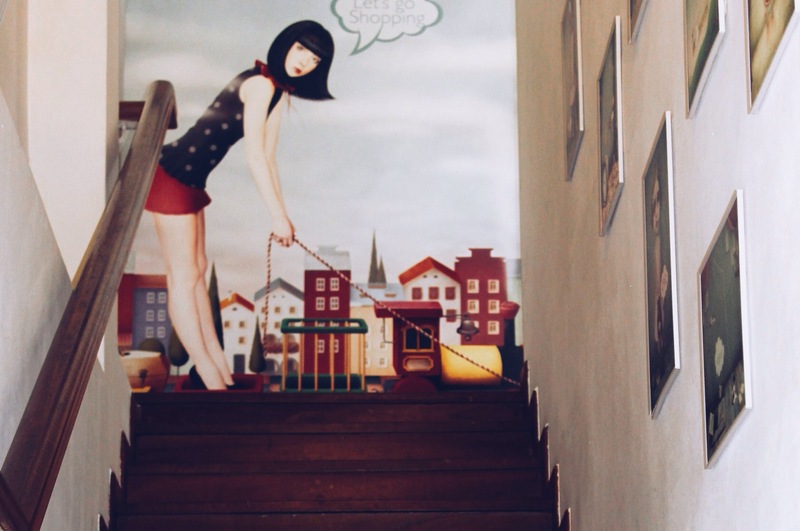 I like how artistic the stores are and the wall mural too. They were so fun! Thanks Kareen. Erica, I love this place. HIP and artsy. Seems like I have to pay singapore a visit again. I Haven’t gone in a long time and streets like these, I like. Thanks for sharing. This a great find. 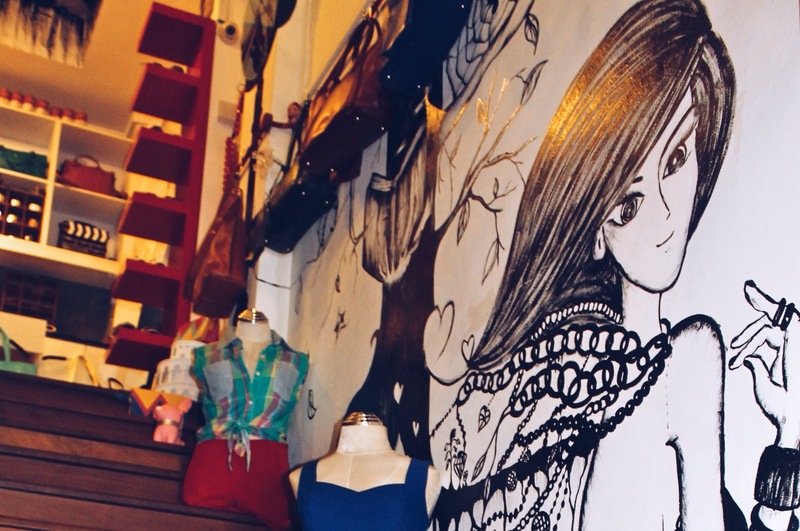 I always love boutiques and murals and the combination is spectacular. Thanks for capturing this in your blog. It’s dreamy. Dreamy is an appropriate word for sure. It’s easy to miss its beauty especially with the humidity affecting one’s mood. Love this, totally different to what I expected of Singapore to be honest. Thank you. 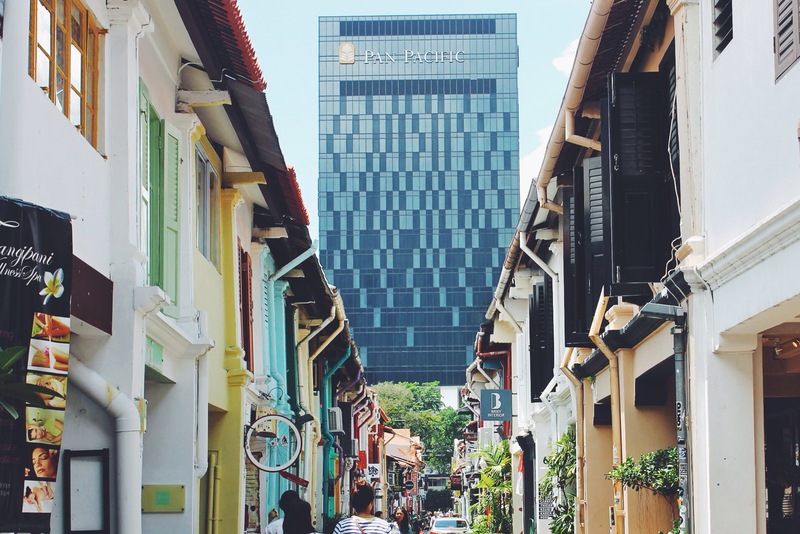 YOu should check out Singapore sometime. i’ve never been to Singapore and would never have pictured it to look quite like this. Gorgeous and so colorful. I love all the funky street art! Same. I thought Singapore was all tall buildings and malls. We’ve got a famous mosque here in Mumbai called Haji Ali, but there’s no hip graffittii like this! That would add a wonderful twist to it, wouldn’t it. I’ve been reading a lot about Singapore lately. This post makes me want to go even more. Awesome photos. Keep up the great work! Thanks Robb! Hope you enjoy Singapore as much as I did.